Canadian skier Dustin Cook will be out for an indefinite time after hurting his knee in a training crash in the Austrian ski resort of Pitztal on Wednesday. 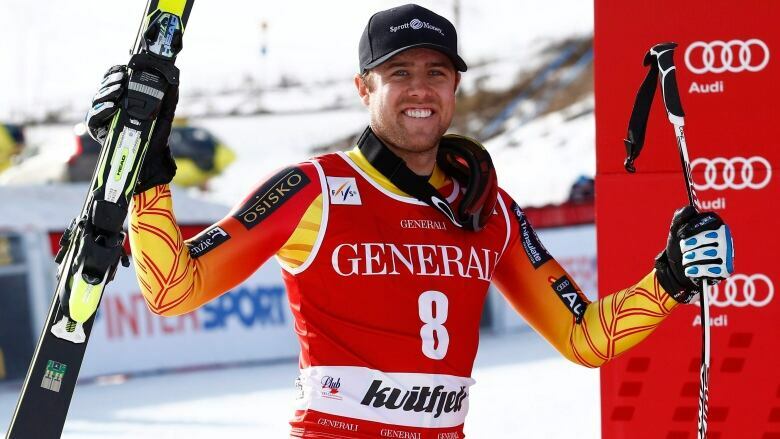 The Canadian ski federation said Cook was preparing for the first race of the upcoming World Cup season, the traditional giant slalom on the Rettenbach glacier in nearby Soelden. "During a giant slalom training run, Cook crashed causing ligament damage to his right knee," the federation said, adding that the 26-year-old Cook will need surgery and misses the season-opener. Specializing in the speed events, Cook took silver in super-G at the world championships in Beaver Creek in February and won his first World Cup race in Meribel, France, the following month. His best result in GS is 18th. Cook, a native of Ottawa, became the second skier to damage his knee ligaments in a training crash Wednesday after women's overall champion Anna Fenninger, who was ruled out for the entire season.